Add this 3-D Pumpkin Decoration to your Halloween supplies for something new. This 3-D hanging decoration will look awesome around your house. 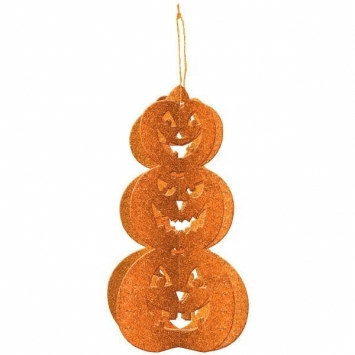 Spice things up in your holiday decor when you buy one of these 3-D Pumpkin Decorations. This pumpkin decor will be a hit among your family and friends when they see it.